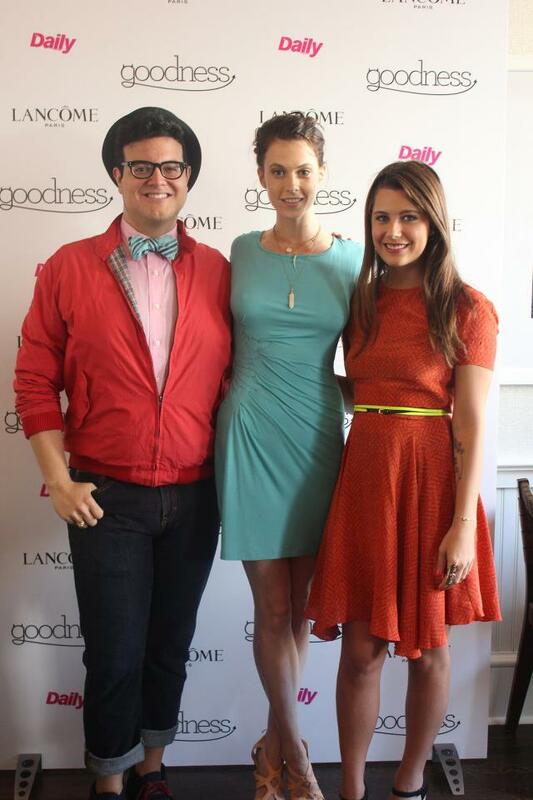 GOODNESS presented by The Daily: The IT Place to Eat This Fashion Week! We all know that having an entire week of being at the tents can leave you hungry for good food, especially when the snacks that they hand out in the tents leave you craving something that will stick with you for a few hours as you rush around the city. For seasons upon seasons there has not really been a solution for this food void but now GOODNESS has literally popped up to save the day! Created as an oasis from the hubbub of the tents, GOODNESS is the go-to destination for health-conscious models, designers, industry insiders and epicureans this fashion week! Wiedemann teamed up with restaurateur and Michelin star chef Ed Brown and Fashion Week’s exclusive publication The Daily to provide the fashion crowd with fast, fresh and healthy cuisine. The word has quickly spread about this delicious and healthy place to eat as fashion forces like Prabal Gurung, Lorenzo Martone and Melissa George. OJ&B even stopped by with good friend Jena Gambaccini of Chi City Fashion. We had an amazing lunch that filled us up and prepared us for another long day! Check out the pictures of the people who have popped in! GOODNESS is open for breakfast and lunch to provide healthy and delicious appetizers, entrees and desserts. With daily changing menus and daily changing chefs, GOODNESS will feature Nick Wilbur of The Fat Radish, Christopher Randell of Whitehall, Rob Newton of Seersucker, and Ed Brown of Ed's Chowder House. As Elettra describes it, "GOODNESS with a touch of BADNESS". Tomorrow is the last day that you can experience GOODNESS at fashion week so hurry in! If you are out of town this year do not worry, GOODNESS will be a reoccurring pop-up during fashion week and other events.